The buying and selling of wares goes back as far as 7500 B.C, and the first retail shops (stalls operated by artisans) were created around 650 B.C. in Turkey. Business journalist Robert Spector, who grew up working in his family's butcher shop in Perth Amboy, New Jersey, set out to discover the current state of independent retailing in America. 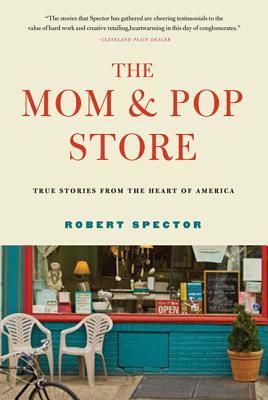 Spector found that despite a depressed economy, many mom & pop stores have been launched or successfully reinvented by responding to the changing tastes of their patrons, offering good customer service, and fostering a sense of neighborhood identity and camaraderie. From a specialty soda pop shop in Los Angeles to a florist shop in Dayton, Ohio, from a bakery in Chicago to a bookstore in Washington State, mom & pop store owners shared their stories with him, revealing the spirit and tenacity of the small business owner. The Mom & Pop Store reflects the story of this country, for it embraces and cross-references every ethnic group, and virtually every element of our society. Robert Spector is author of The Nordstrom Way, The Nordstrom Way to Customer Service Excellence, Amazon.Com: Get Big Fast, and Category Killers. He has appeared on the National Business Report, CNN, CNBC, Fox News, Bloomberg Business, CNET News.com, CEO Exchange, NPR's Marketplace Report, and numerous other radio shows. He has written on business for the Wall Street Journal, USA Today, UPI International, NASDAQ Magazine, Customer Service Management, and Corporate University Review; on fashion for Women's Wear Daily and Details, and civil liberties for Parade. He gives dozens of talks every year to business organizations and groups. “Every business lesson my dad ever taught me was built around the idea of treasuring every single customer. The resourceful entrepreneurs you'll meet in this captivating book live by that simple, but powerful, idea.” —Bruce Nordstrom, chairman emeritus, Nordstrom, Inc.